Project: Celtic Art Studio's website was created to seamlessly display different artworks available for sale as well as pieces on display in the Studio. The site provides visitors with an overview of the Myth and Symbols that are related to the artwork, and tells the story of the Celtic Art Studio. Summary: This site also fits in our 'Artists' category. 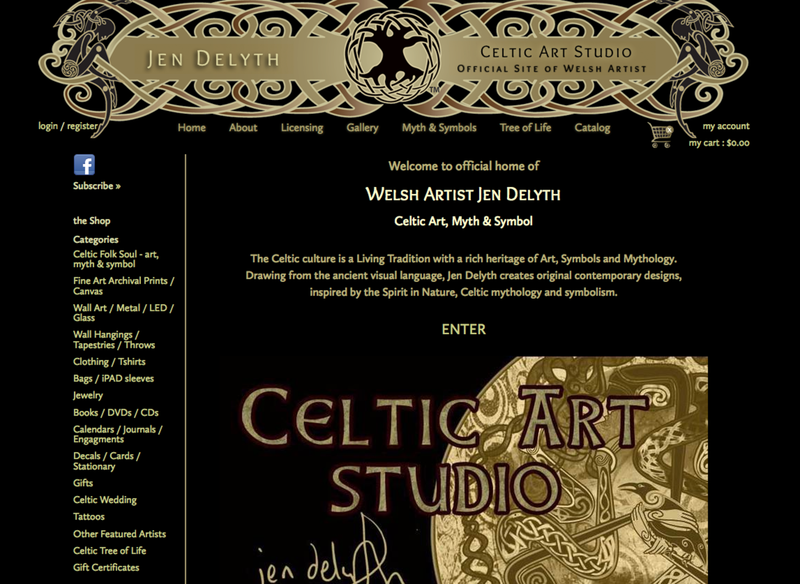 Welsh Artist Jen Delyth creates original Celtic Art, inspired by what she calls "the Spirit in Nature", Celtic mythology and symbolism. Jen's original Celtic Art work appeals to those who seek meaningful, profound images expressing deep and essential aspects of the Celtic tradition.